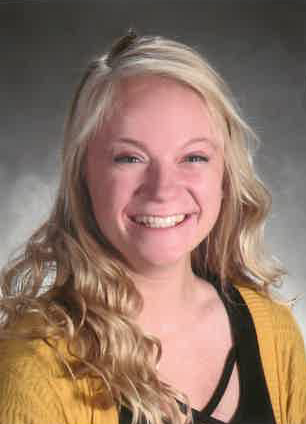 She will be a delegate to the 32nd annual Rotary Youth Leadership Award Camp this spring. Jim Smith, local committee chair, said the Rotary Club of North Manchester is among the 56 Rotary clubs of District 6540 – clubs across the northern tier of Indiana – that are sponsoring high school students who will develop their leadership potential together at Camp Tecumseh YMCA Outdoor Center, Brookston, Ind., from April 26-28. The camp will feature outstanding speakers and workshops focusing on decision-making, critical thinking, communicating effectively, ethics, career development, public service, contemporary problems, and other issues challenging leaders of today and tomorrow. The camp is a Friday through Sunday live-in program conducted by highly trained, experienced leaders representing a wide range of vocations. The Rotary clubs select students who display leadership abilities and who will profit from this experience. Full scholarships are awarded, and the clubs provide transportation. Edwards is active in church, volunteering with the children’s ministry and is a leader in youth worship. She excels in academics, and her extracurricular activities include theater, cheerleading, track, choir, band and Wabash County Honors Choir. The Laketon resident hopes to someday become a missionary or evangelist.